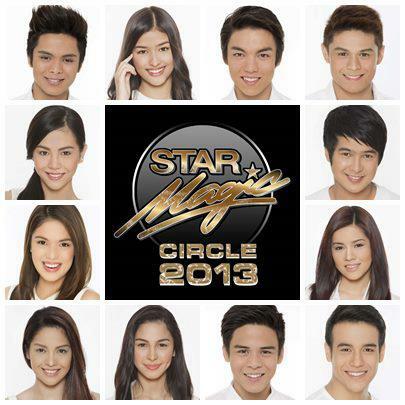 Meet the New Faces of Star Magic Circle Batch 2013! Star Magic, the hottest talent arm of ABS-CBN is now introducing new and fresh faces who comprise the 2013 batch! Started as Star Circle in the 90's, Star Magic already produced the biggest names in the showbiz industry like Claudine Barretto, Piolo Pascual, Jolina Magdangal, Diether Ocampo, Kristine Hermosa, Mylene Dizon, Marvin Agustin, Rico Yan, Gerald Anderson, Kim Chiu, Sam Milby, Bea Alonzo, and Coco Martin to name few. This year, the new generation of young talents are set to create another marks. Who among them do you know already?! Well, some of them already appeared and became popular after starring in the different Kapamilya TV series! As you can see, part of the new batch of Star Magic talents are the young heartthrobs like Jerome Ponce, Jon Lucas, Kit Thompson, and Khalil Ramos. Jerome is introduced as one of the three children of Sir Chief (Richard Yap) in the top-rating daytime TV series "Be Careful with My Heart." Jon on the other hand plays Angeline Quinto's brother in "Kahit Konting Pagtingin." Of course, Kit and Khalil were both products of the two different Kapamilya reality shows namely "Pinoy Big Brother Teens" and "Pilipinas Got Talent Season 4." Kit was last seen in the drama series "Kahit Puso'y Masugatan" while Khalil was launched in "Princess and I."